On 8 July, Brighton Business School held its first Learning and Teaching Conference, providing staff with the opportunity to share their knowledge, research, ideas and achievements. The aim of the day was to explore how we can improve and offer a better experience to current and future students. The day opened with a speech from the Director of the Business School, Professor Aidan Berry. The speech highlighted the upcoming design for the new Business School set to open in 2019, and how we will continue to be ‘Open for business, Open to business’ during the build phases. The Higher Education industry is continuously evolving, Sid Hayes, Director of Education for the School of Social Sciences gave the keynote speech, “Changing Landscapes”, which introduced the new Teaching Excellence Framework (TEF) and discussed assessment and feedback. Talks also covered subjects including the value of self-assessment and the importance of student feedback. 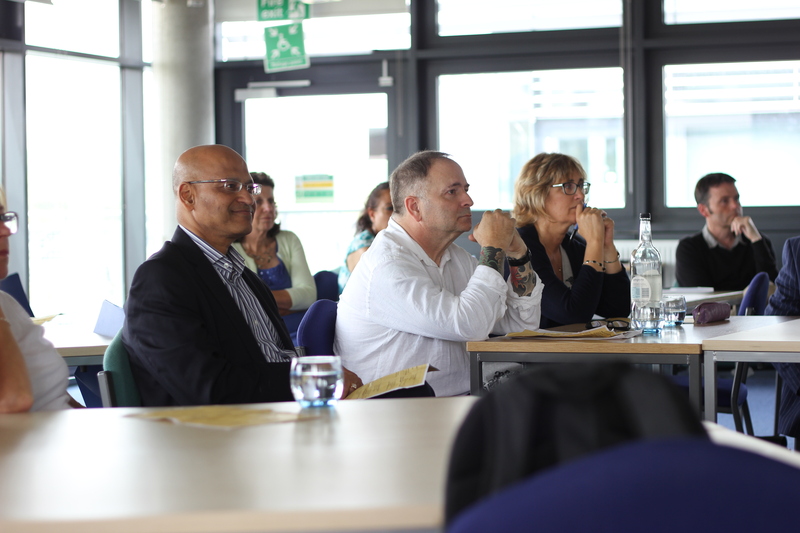 Speakers also explored how active learning and ‘TED-X’ style lectures could increase student engagement. Stuart Bullen, the Business School’s dedicated Student Support and Guidance Tutor, also demonstrated our new Student connector tool, which is a simple way to find all the support Brighton offers. Stuart created the student connector based on student feedback in order to provide an even easier way to find and access the support which is available to all of our students. The conference was also the launch of the Business School’s Teaching Excellence Award 2017, which was announced by Alison Bone, Principal Lecturer in Law and Deputy Legal Advisor for the University of Brighton. Alison spoke to us about the new award: “We are the first school in the university to do this and feel that the time has come to celebrate the hard work put in by all our tutors by showing how much we value their expertise. Check out the Teaching and Learning blog here for more information and photos from the event, let us know your thoughts! Tagged conference, Event, Feedback, Learning and teaching, new business school, student experience, support. Bookmark the permalink. Great day and plans already underway for 2017!